studio calico's march kit - office hours is now live!!! 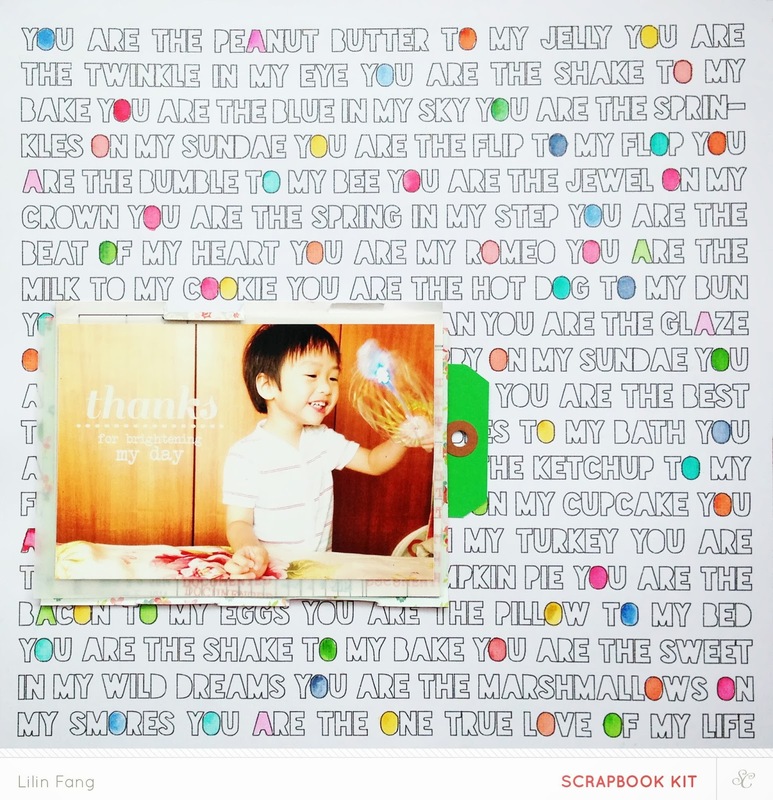 this month's kit is amazing and filled to the brim with lovely patterned papers and lots and lots of embellishments. this is my 3rd kit since i joined the CT and i must say this is my favourite! love the colors, the patterned papers, basically everything! 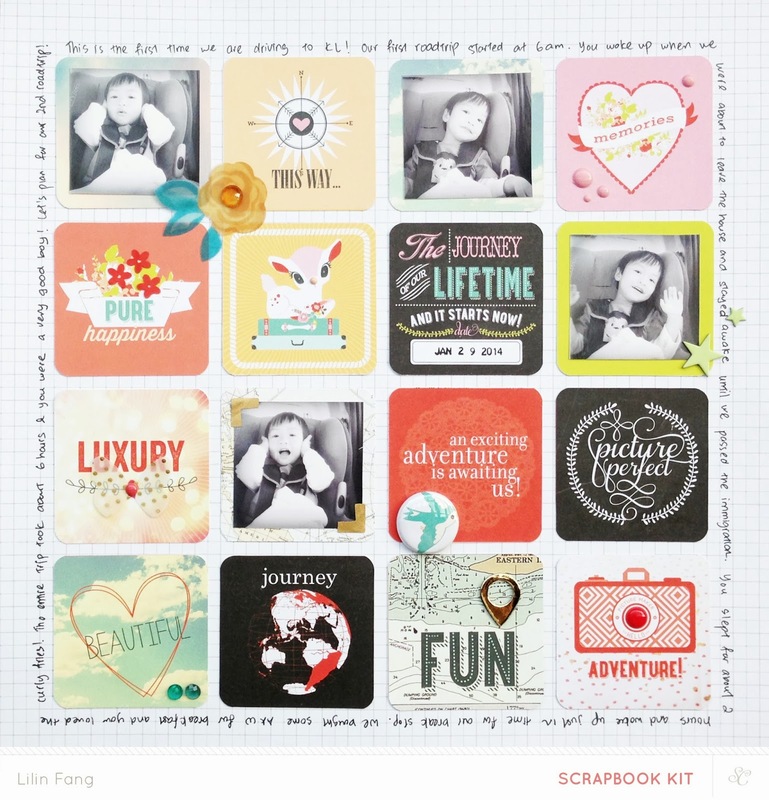 i'm thrilled to receive the main scrapbook kit, to do (add on 1), rolodex (add on 2) and coffee break (add on 3) from studio calico. love this exclusive cut file this month by paige evans. i took out my silhouette cameo and was ready to cut this file when it suddenly stuck me that i should try this file with my sketch pens that i bought long ago but haven't gotten the chance to play with. so i went to dig out my sketch pens and replaced my blade with a black pen from the glitter pack. after about 10 mins or so, i have this beautiful background paper and i am hooked! if you have been thinking about sketch pens, you should try them! they look amazing in real life and i think my photos doesn't give them enough credit! :) then i thought of adding some color to the page by painting some letters with watercolors. 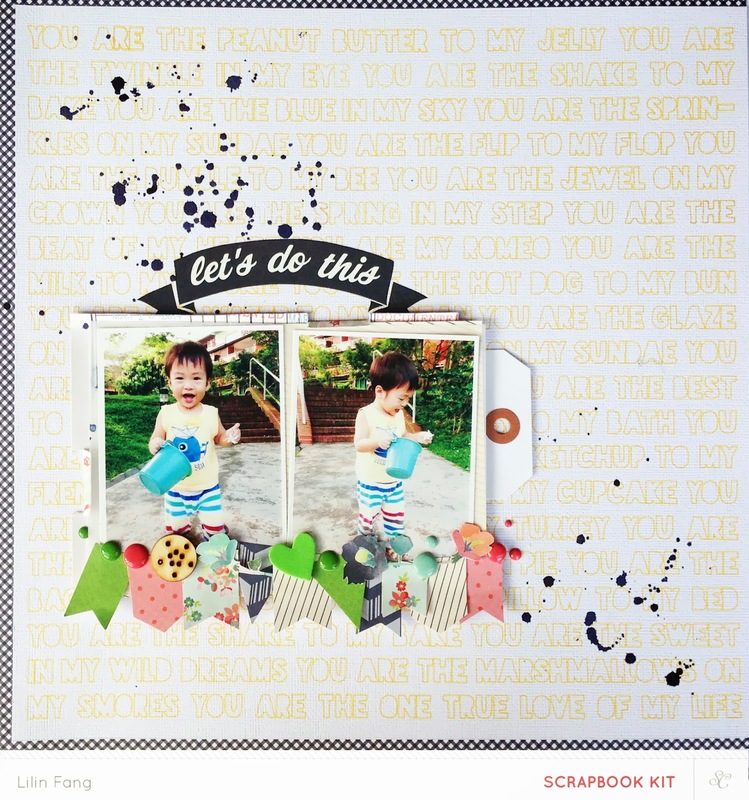 i finished off this simple layout by layering a tag, vellum and some patterned papers behind my photo. i also tried working with digital brushes this month and i love how it instantly adds interest my photo! since the first background paper with the sketch pens turned out so well, i wanted to make another one! this time with a gold pen from the metallic pack. who doesn't love the subtle shimmer from the gold pen? i layered a tag, vellum and some patterned paper behind my photo and placed it somewhere in the middle of the page. then i used the cut file by hello forever to create the banner. instead of using the silhouette cameo to cut the file, i actually printed out the cut file on a piece of paper. then i used it as a guide to fuss cut the banners from various patterned paper. i finished this layout by decorating the banner, adding some ink splatters with navy mist and adding the rub on by hello forever for my title. 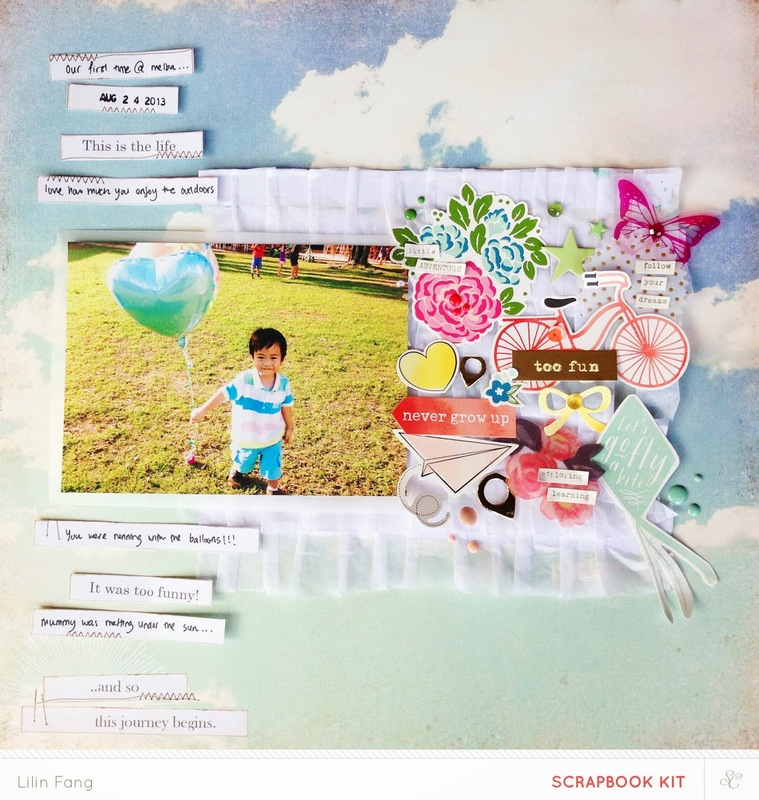 for this layout, i used white tissue paper to create a layered background. i love how the texture and softness of the tissue paper it brings to this cloudy background paper. this month's kits are filled with beautiful stickers, vellum die cuts, gems, enamel dots and chipboards so I created an embellishment cluster here. I also cut the labels from the webster's pages paper in rolodex (add on 2) to add my journaling. i hope you like the layouts i shared with you today. i will be back soon to share a closer look to how my favourite layout for the month came about! happy shopping!